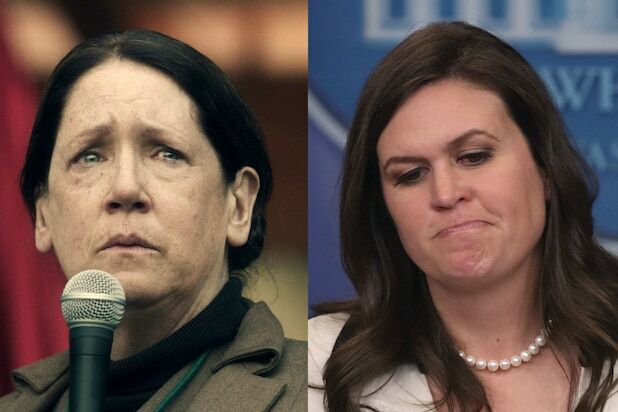 You may recall Michelle Wolf’s burn of Sarah Huckabee Sanders at the White House Correspondents Dinner, when she compared the White House press secretary to Aunt Lydia from “The Handmaid’s Tale.” But if you ask Ann Dowd, who plays Aunt Lydia on the Hulu series, the comparison may have been slightly off. Dowd appeared on “Late Night with Seth Meyers” and said as she watched the hot-button dinner, she realized her character could do far worse to Sanders than Wolf did. Dowd also said Aunt Lydia wouldn’t be too kind to President Trump, either. Meyers added that Aunt Lydia is, well, pretty evil. But both he and Dowd gave Lydia credit for being a complex character with some deeply held principles. And even she might not be willing to help out at the Trump White House. “It would be helpful, but she wouldn’t do it, because she has no patience for nonsense,” Dowd said. 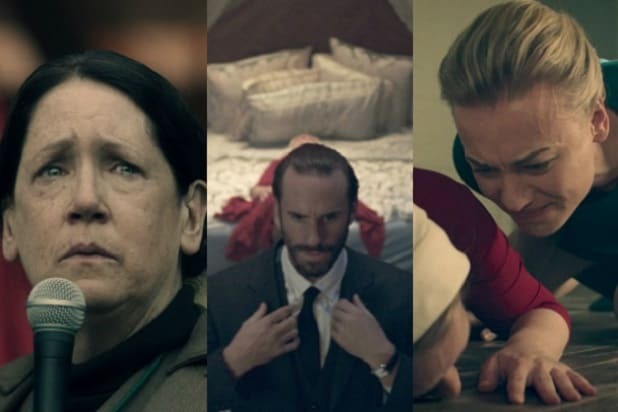 Dowd won an Emmy for portraying Aunt Lydia in season 1 of “The Handmaid’s Tale” and is nominated again for her work in Season 2. Watch the full clip of Dowd on “Late Night” below.